Whether yours is a small business, a large corporation, a boutique, a non-profit, or an international firm, you can align your company with the SDPB quality brands today. South Dakota Public Broadcasting maintains a high standard in programming and innovation. Along with your own support of South Dakota Public Broadcasting, comes the support of its viewers. By giving to SDPB, your dedication to the enrichment of South Dakotans is made apparent. The money you invest in SDPB goes toward quality, intelligent, and engaging programming. Our viewers value a sponsor’s community involvement. Please visit our comprehensive list of current corporate donors. Opportunities are available for local and national programs. Your investment in Friends of SDPB is acknowledged with announcements, available on Radio, Television, Internet and printed materials. Programs available for sponsorship and underwriting can be found on this pdf SDPB Sponsor Opportunities (223.1 KB) . 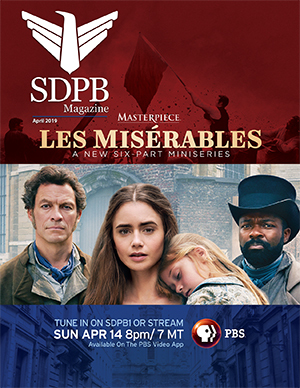 SDPB holds many special and unique events to promote our programming and our sponsors. These events include screenings, Q&As, and more. If interested in attending one of these special gatherings, please click here.